During the 2005–2009 period, there were 3,880 fatal drownings per year across all age groups, with an additional 5,789 non-fatal drownings per year treated in hospitals. 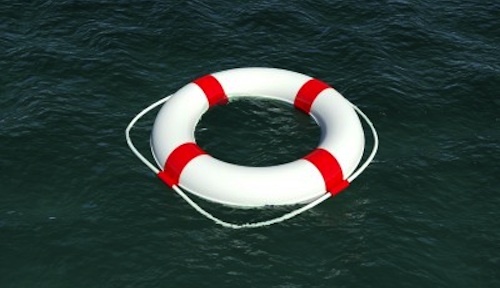 The vast majority of non-fatal drownings occurred in the 1–4 age group, at 52.8% of the total. Fatal drownings were dominated by children over 15 and adults, at 80.1% of the total. While the fatal drowning rate during the 2005–2009 period declined significantly from 1.34/100,000 in 2005 to 1.25/100,000 in 2009, the CDC still expresses concern about the preventible nature of drowning accidents and deaths. In order to learn more about where near-fatal and fatal drownings are occurring and to promote drowning education, the CDC recorded the demographics and circumstances surrounding each incident. Males were more likely than females to experience near-fatal or fatal drowning (60.2% and 78.8% of the respective totals). Non-fatal drownings were most likely to occur in a swimming pool (57.7%), followed by natural water (25.2%) and bathtubs (9.2%). Fatal drownings were most likely in natural water (51.1%), with an additional 17.6% occurring in a swimming pool and 10.4% occurring in the bathtub. The CDC makes several observations and suggestions on the basis of these data. First, that (teen and adult) males are significantly more likely than females to suffer drowning may be due to their greater tendency to consume alcohol around water, overestimate their swimming ability, and engage in high-risk water activities. Second, that the preponderance of drownings in children aged 1-4 occurs in swimming pools is evidence that education regarding environmental safety is still of paramount importance. Pool fences, lifeguards in public pools, and (CPR-capable) caregiver supervision are all important safeguards. There’s also evidence showing that formal swimming lessons for children aged 1–4 help reduce the risk of drowning ; lessons may also help reduce the risk among older children and adults, suggests the CDC. Centers for Disease Control and Prevention (CDC). Drowning — United States, 2005–2009. MMWR Morb Mortal Wkly Rep. 2012 May 18;61:344-7. Centers for Disease Control and Prevention (CDC). Vital Signs: Unintentional Injury Deaths Among Persons Aged 0–19 Years — United States, 2000–2009. MMWR Morb Mortal Wkly Rep. 2012 Apr 20;61:270-6. Weiss, J. Prevention of drowning. Pediatrics. 2010 Jul;126(1):e253-62. Epub 2010 May 24.